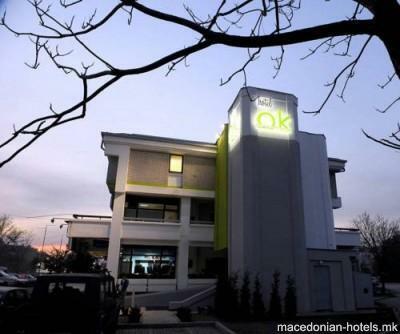 The uniquely furnished OK Hotel is set in a quiet area, 1 km from the centre of Skopje. This design hotel features various modern amenities, such as the on-site stylish lobby bar, a snack bar, a gift shop and free Wi-Fi. 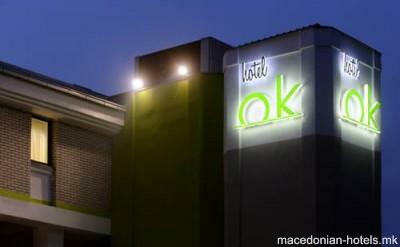 All rooms at the OK Hotel feature modern and stylish design, high-quality mattresses, air-conditioning and a safe. A flat-screen TV offers cable channels, while the rooms also have a fridge. 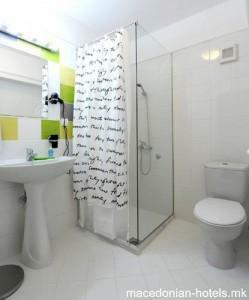 Private bathroom offer all modern amenities. The hotel offers 24 hours reception service, laundry and dry cleaning facilities and luggage storage. Room service and packed lunches are available upon request. Nearest restaurant is 150 metres away, while a supermarket can be reached in 500 metres. 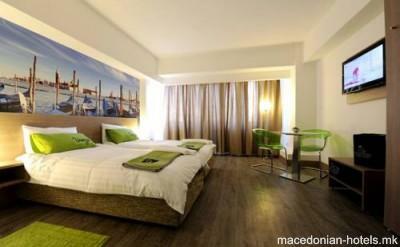 A Wellness and Fitness Centre can be reached in 1 km, while the property features an excellent connection to Skopje City Mall can be reached. Local buses stop 50 metres from the hotel, while the Main Bus and Train Station can be found 3 km away. 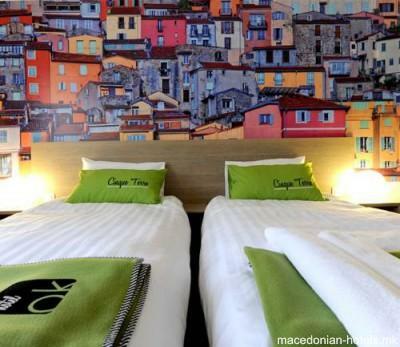 Skopje Airport is 20 km away and shuttle service can be arranged for an additional cost.